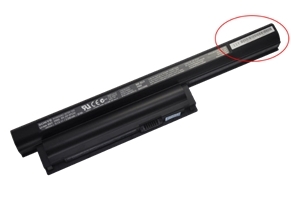 It has come to our attention that some of the VGP-BPS26 battery packs provided to us by Panasonic, which are used in VAIO E Series personal computers released in February 2013 may be susceptible to overheating. VAIO personal computers (in the below list) that have been submitted for repair since February 2013 may also be affected. The issue is a manufacturing one which has the potential to burn parts of the battery packs. We are implementing a free replacement program for the affected battery packs. If you are using one of the VAIO personal computer models listed below, please confirm if your battery pack is one of those affected via the link below. If it is identified as an affected unit, please immediately remove the battery pack from your PC. With the battery pack removed, you may continue to use your PC safely with an AC adapter. If you believe that your battery pack is one of the affected units, please contact our Customer Service team on 1300 137 669, Mon-Fri 9am - 5pm AEST to discuss next steps. Below are the VAIO personal computer models that may be equipped with an affected battery pack either because the PC was packaged together with an affected battery pack at the time of purchase or because it was equipped with an affected unit, as a replacement part, during a repair.